So Nintendo has no interest in it. Here we go, here we go, here we go again. It's time for another "I wish this Wii U game was on Switch" conversation! 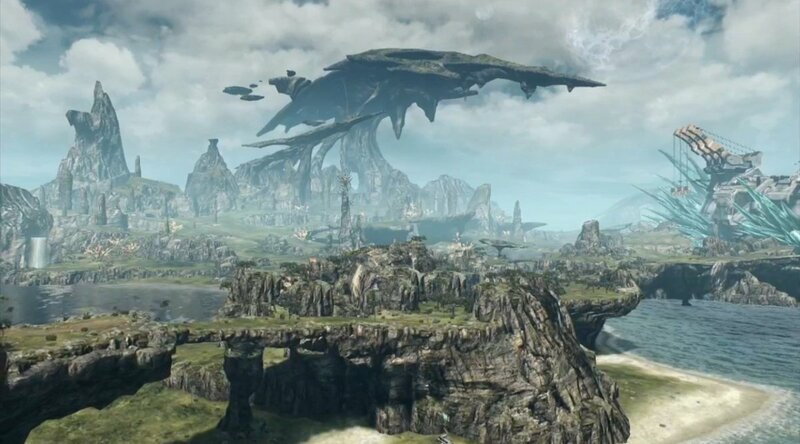 Speaking to USGamer, Monolith Soft executive director Tetsuya Takahashi just came right out and said it: he wants Xenoblade Chronicles X on Switch. How likely is it to happen? Let's look at his own words on the matter: "Well, the future at present is unclear. Personally speaking, I'd love to play the game on the Switch, but it would be really difficult to make it. [The roadblock is] money. It's a massive game. Re-creating it would be really difficult." So you're saying there's a chance?! It's nice to know where the studio stands at least. If Xenoblade Chronicles 2 is as big of a hit as Monolith Soft says it is, and we do get an even bigger follow-up, it might be possible at some point if a studio boss has this much passion for it. Speaking of Xenoblade Chronicles 2, Takahashi is just as happy about it as he was a few weeks ago when the Torna DLC dropped. The USGamer interview contains a few interesting bits on its postmortem, like the reason why they including a Gashapon style system even though there were no real money transactions present (they wanted special acquisitions to be shared on social media) and why the art styles for Blade companions were so varied. Give it a read if you aren't ready to get go of this great RPG just yet. Pretty dumb of them if they don't. Honestly, i liked it more than the main series. But the main series is semi-linear and X is an open world. There are definitly budget differences. Hopefully we see a sequal though. The story was left open. I'm still waiting for Fatal Frame 4 and 5 to get a switch port. Nintendo better stick to the port trend. Every good wii u game practically falls under the best game no one played category. Despite everything i'm sitting tight for Fatal Frame 4 and 5 to get a switch port. I have use GBWhatsapp here. This is one of the best app. I kinda like more the spider-bot than the original. I agree with you spider-bot. I liked X more than 2. I liked the futuristic approach and i really liked New LA. Because they are copying us or because he liked X more? But i enjoy sci-fi settings more and X is the closest thing to Xenogears there is.